Aric Almirola started Stage 1 in the ninth position at Charlotte Motor Speedway and completed it in sixth to earn five bonus points. Almirola’s Smithfield Ford Fusion remained in the top-10 throughout the 100-lap stage and ran as high as fifth. Before the start of Stage 2, Almirola visited pit road for four tires, fuel and a wedge adjustment. He started the second stage in the fifth position and ended it in sixth to accumulate five bonus points. During the fourth caution of the race on lap 116, the Tampa native reported his Ford Fusion was the best it had been all night. Almirola made his first green-flag pit stop of the night on lap 158 for fuel, four tires and adjustments. After green-flag pit stops cycled through, the 34-year-old was in the eighth position and worked his way up to sixth, where he ultimately finished the stage. Before the start of Stage 3, Almirola came down pit road for four tires, fuel and tape to the No. 10 machine’s grille. He started Stage 3 in the sixth spot and finished it in 17th. After a great Stage 3 restart, Almirola was in the fourth position. On lap 227, Almirola came to pit road during the caution, and the No. 10 pit crew gained him one position to restart in third. The eighth caution came out on lap 258, and Almirola came down pit road for fuel, four tires and adjustments after he slipped back to the eighth spot. He restarted ninth on lap 261. 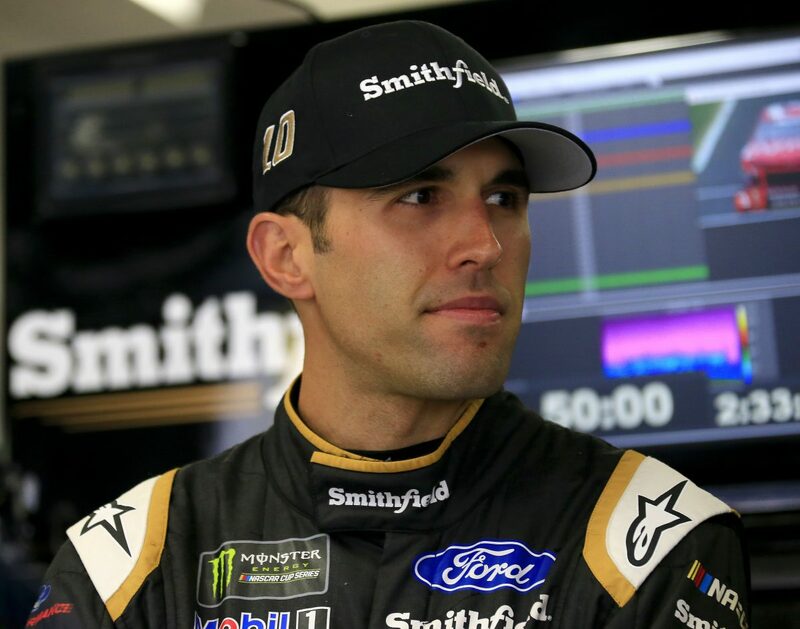 On the final restart of the stage on lap 286, Almirola was in the fifth position, but he slipped back to 17thto end the stage after other cars had fresher tires. During the caution period for the final stage break, Almirola visited pit road for fuel, four tires and adjustments. He began the final stage from the 13thspot after speedy pit work from the No. 10 Smithfield crew. The final stage was caution-free, and Almirola maintained a top-15 position throughout the stage. With Almirola’s No. 10 machine tight throughout the run, he ultimately ended up 13thfor the 600-mile event. This was Almirola’s 11thtop-15 finish of 2018. Almirola finished sixth in Stage 1 to earn five bonus points and sixth in Stage 2 to earn another five bonus points. Kyle Busch won the Coca-Cola 600 to score his 47thcareer Monster Energy NASCAR Cup Series victory, his fourth of the season and his first at Charlotte. His margin of victory over second-place Martin Truex Jr., was 3.823 seconds. With his Coca-Cola 600 victory, Kyle Busch became the first driver to secure a points-paying win at every track the Monster Energy NASCAR Cup Series visits. There were 11 caution periods for a total of 54 laps. Only nine of the 40 drivers in the Coca-Cola 600 finished on the lead lap.